The latest newsletter, dated 29th June 2018, shows off the design for the latest female soldier costume. The outfit has nine specific pieces – Helmet, Upper Chest, Shoulders, Bracers, Gloves, Belt, Pants, Leg Armor, and Boots. These can be mixed with pieces from other sets, or with special single pieces to create unique player costumes. As always, each costume piece has a primary and secondary color, which can be controlled independently on each piece, or automatically aligned around the color choices made for the chest-piece with the click of a button. We plan to have cape designs to accompany this costume, and a variety of colors are possible. We also allow the head slot – helmet or mask – of any costume to be toggled to become invisible, if desired. The image below shows several possible color variations, but the possibilities in the character creator are endless. Nine costume pieces, two colors per piece, 256 choices per color… not to mention the ability to customize the character wearing the costume – hair, skin, face, eyes, etc. And here's the press release - copied verbatim because it's getting late in the UK and I have to get up really early tomorrow morning. 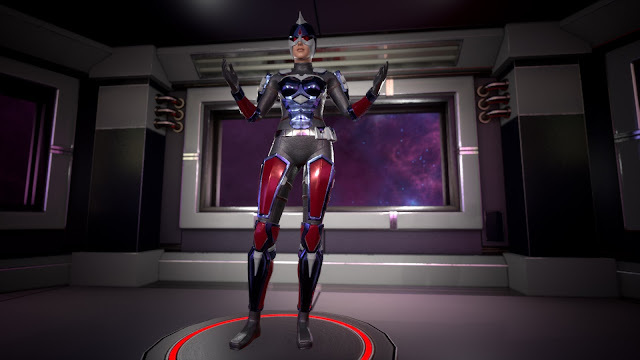 Ship of Heroes has three character models and incredible customization potential, which has been demonstrated in multiple videos and newsletters. One issue that comes from using multiple character models is that costumes need to be re-created for each model, or at least for most of the models. SoH has now begun this process, and is showing off a new female soldier costume derived from signature hero Ambassador’s design. The screenshots show several possible color variations players, but the possibilities in the character creator are endless. Nine costume pieces, two colors per piece, 256 choices per color… not to mention the ability to customize the woman wearing the costume – hair, skin, face, eyes, etc. 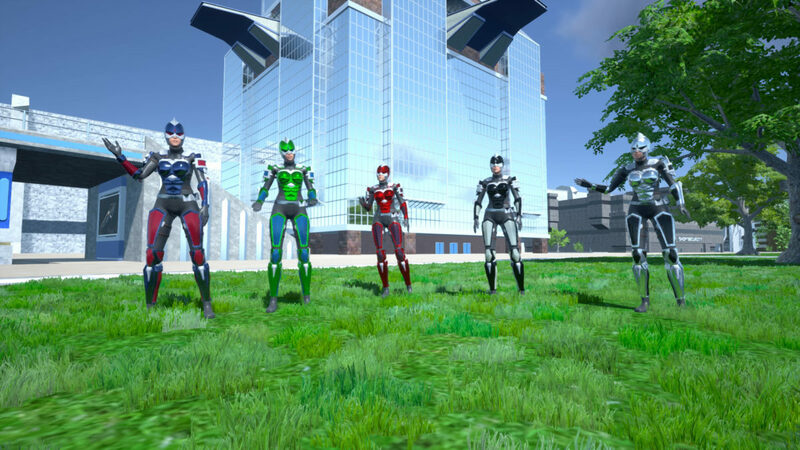 Ship of Heroes has announced that they are working towards a login test with many players logged in, and the expected plan is for each player to be in a unique costume, most created by mixing and matching costume pieces from the costume sets that have already been revealed. But new costumes may well be revealed to expand the options in preparation for the upcoming login test. The SoH devs continue to make their own unique costumes, reflecting a specialized art design and internal capabilities that are usually associated with larger studios. Right now, nearly a dozen costumes and unique designs have been revealed and shown in-game. The SoH devs never simply show a costume without bringing it into their actual game in some manner. Immediate integration of new assets is part of their design philosophy. Anticipation for the Beta launch of Ship of Heroes is growing. The dev team has been highly organized so far, and watching their videos and reading their newsletters is like taking a course on how to develop a new MMO step by step.